Yeah Yeah I can see a lot of NYX happening on the blog lately!! 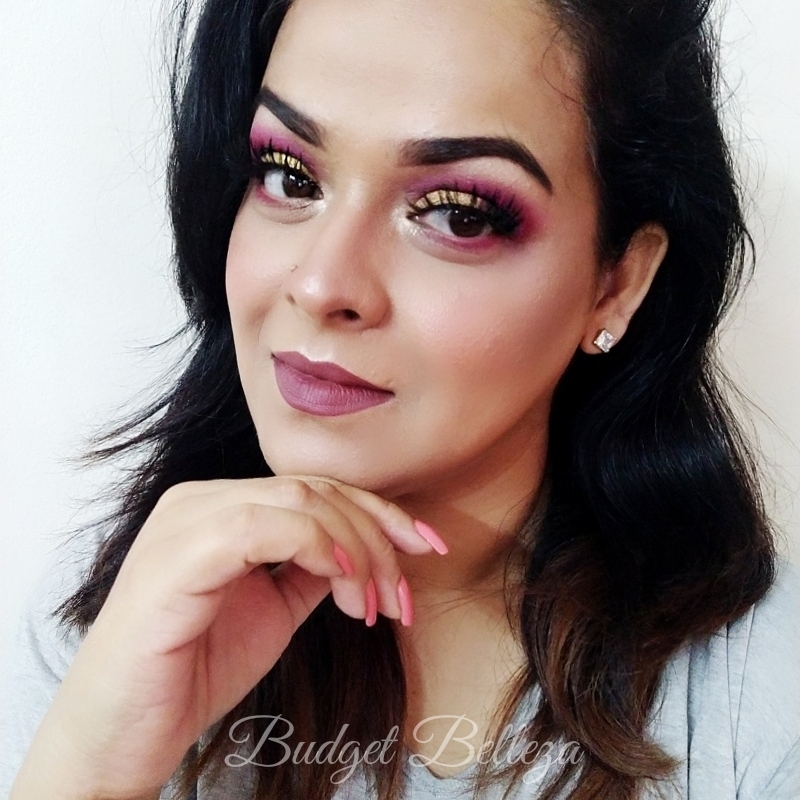 And why not,some of their products are at par with their higher end counterparts while keeping the price line within the drugstore reaches. While NYX Soft Matte Lip Cream in Rome is the closest MLBB shade I have, this new baby is the one I'm wearing every other day these days. 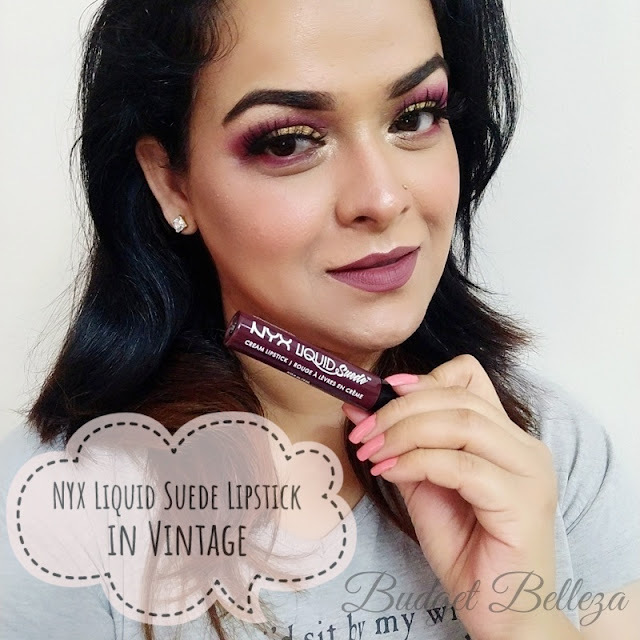 Beauties we are talking about the NYX Suede Lipstick in Vintage!! NYX Suede Lipstick in Vintage comes in a rather hefty liquid lipstick tube packaging. It is colour-coded and bears the shade name on it..PRINTED and not on a flimsy sticker.. I love that NYX..thumbsup!! The applicator isn't doe-foot, yet because of it's flexibility it aids in precise application. 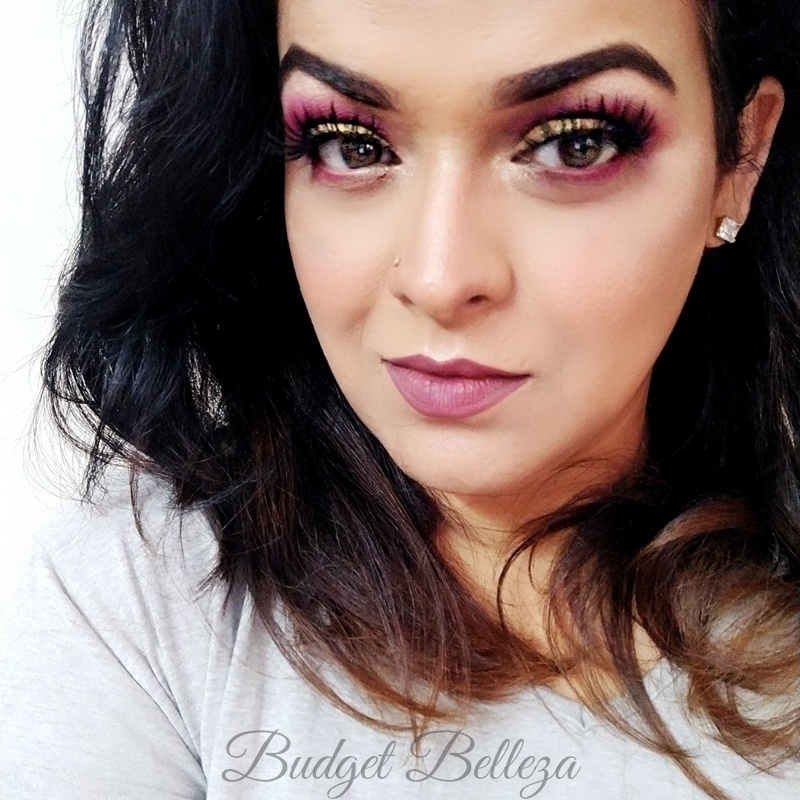 In the pictures here, I haven't used a lip liner and applied directly from the tube applicator. 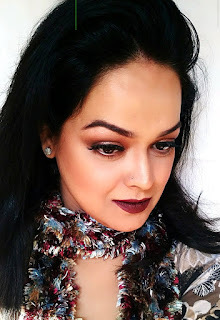 Vintage is a gorgeous gorgeous medium to deep toned plum brown with mauve/grey undertones. Its an unusual shade and thus difficult to explain. It is one shade that will look amazing on all skin tones specifically the duskier lovelies. The texture is creamy...suede is the name..you get it? It's a very comfortable matte and doesn't dry out lips. Pigmentation wise it'll disappoint you in the first swipe. 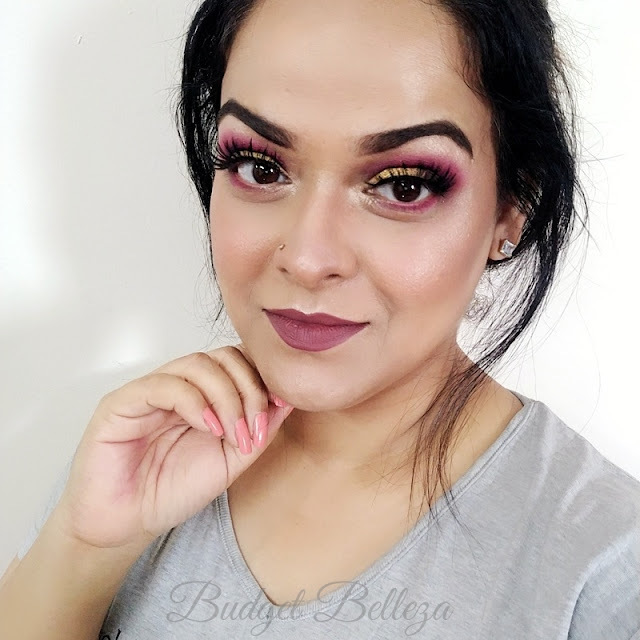 Even though it swatches opaque on my hand, somehow it needs 3-4 applications for a smooth,seamless, opaque finish on the lips. But oh boy! Once done I don't need a touch up for another 5 hours. So not a wee bit of complain there. All in All I'm seeing myself wearing a lot of VINTAGE this fall. Thank you so much..glad u liked the post.